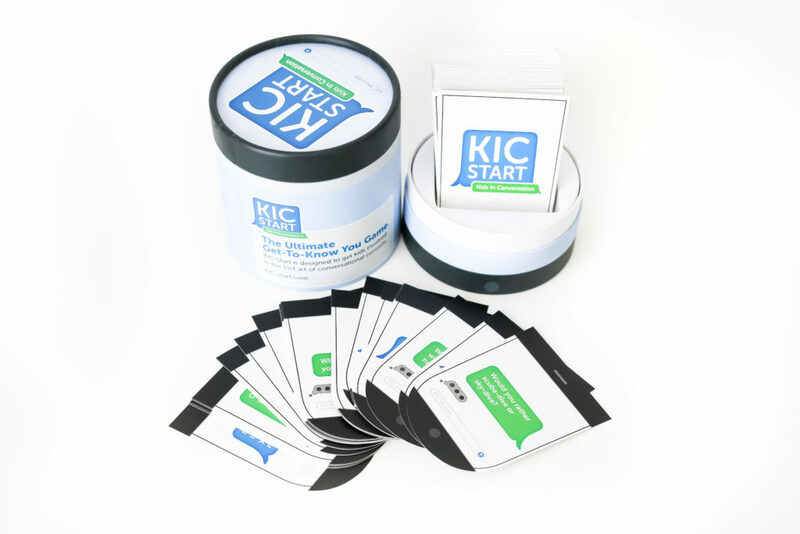 KIC-Start, standing for “Kids In Conversation” is a get-to-know-you card game designed to teach kids the art of conversational curiosity. Family-friendly and ideal for kids and grownups to do together. Each game contains 150 conversation-starter questions. Players take turns drawing cards, asking questions and responding with their answers. The whole idea is to learn how to practice curiosity, ask great questions, actively listen, formulate responses, articulate answers and genuinely engage with others.